The project involved works to widen and strengthen key sections of narrow and broken highway, replace old bitumen and widen culverts to improve driving conditions. 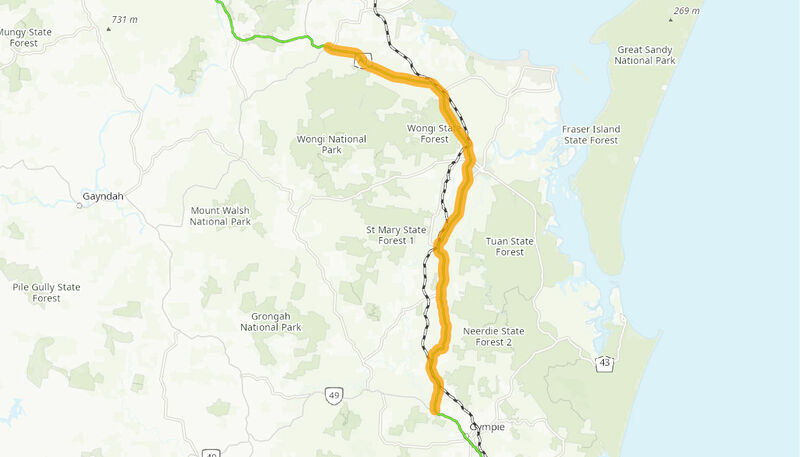 The project has improved safety on the Bruce Highway for all road users and enhanced transport efficiency. The Australian Government provided $24 million to these works. The strengthening and widening works commenced in late 2009 and were carried out progressively to mid 2017.